I just read a very disturbing piece on 401(k) rollovers Retirees Suffer as $300 Billion 401(k) Rollover Boom Enriches Brokers via Bloomberg. 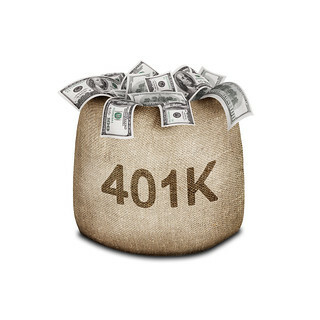 The piece described some of the tactics used by brokers to entice retirees from a number of major corporations into rolling over their 401(k) balances to an IRA with their firms. It seems that often these IRA accounts included costly, high risk investments that enriched the brokers and their firms. My hope is that this piece will make you scared and angry. Moreover I hope it will motivate you to be careful when choosing an advisor for your retirement nest egg. There is nothing wrong with doing a 401(k) rollover, however you need to understand how your retirement money will be invested and moreover if the strategy proposed makes sense for you. Here are a few thoughts on 401(k) rollovers for you to consider. You can take a distribution in cash. This is likely the least desirable as it will trigger taxes and in some cases penalties. Additionally if you have a pension you may have the option to take your benefit as a lump-sum and roll it over to an IRA. As described in the Bloomberg piece there were a number of brokers who targeted retirees of large corporations and in many cases convinced them to roll their retirement plan balances over to high cost, high risk investments. The brokers profited, in many cases the retirees did not. Many of these retirees would have been better off leaving their balances in their former employer’s 401(k) plan but were advised differently by these brokers. It makes sense for advisors to focus on the retirees of a given company. 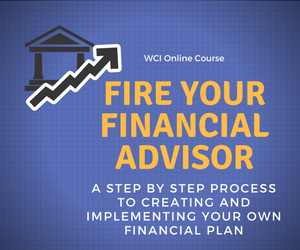 The advisor can focus on understanding the organization’s benefits and can potentially be a real asset to retirees seeking advice on what to do next. What services does the advisor offer? How is the advisor compensated? Fees? Commissions? What are his conflicts of interest in terms of the advice he can render and in terms of any products he might recommend to you? Does the advisor work with retirees and near retirees or others with a situation similar to yours? In an ideal world you are already working with a trusted advisor who has been providing advice on your 401(k), all of your other investments, as well as your retirement and financial planning needs. This trusted advisor will likely be your best source of advice when deciding how to handle your 401(k) balance at retirement. This is hardly an exhaustive list. I’m not saying that there are not varieties of these and other similar vehicles that may be appropriate for you. However if you don’t understand what the broker is proposing, why it is a good alternative for you, ALL of the risks, how liquid your money is if needed, any sales or surrender charges, and what fees and commissions the broker earns you are setting yourself up for potential disappointment. Retirement should be a great time of your life. Please don’t blow your nest egg by choosing the wrong financial advisor for your 401(k) rollover. NEW SERVICE – Do you have questions about retirement or your rollover options? Schedule a coaching call with me to discuss your options.